Welcome to the VolksBlast website where you can find all the information needed to keep you informed on the upcoming VolksBlast Weekend, Jan 25th though Jan 27th 2019. This site provides information you will need to participate in our show and events, become a sponsor, view past year's pics, or simply see what its all about! For more information, feel free to contact Al at rod_alvaro(at)yahoo.com for more information. Car show entrants and vendors are asked to be there starting at 8 am with registration closing at 10 am. Spectators are asked to arrive after 10 am, with live music and events starting at 11 am. Show runs from 10 am to 4 pm. 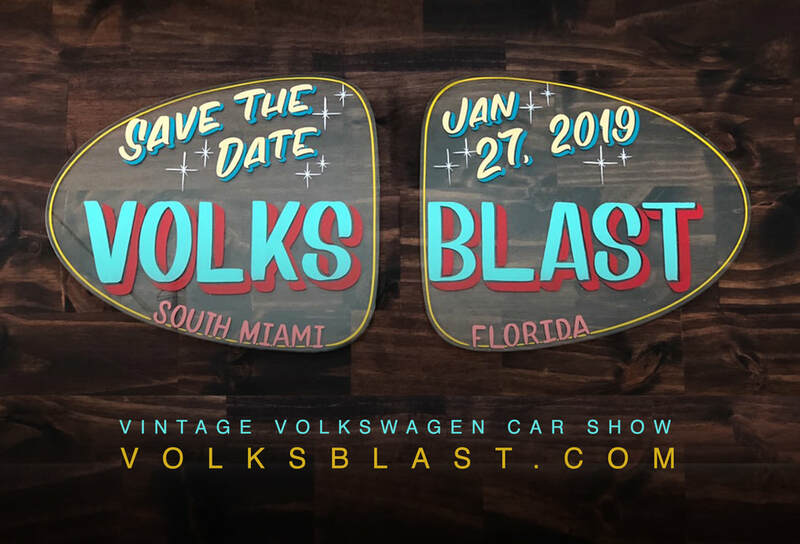 Volksblast would like to thank the City of South Miami, Deel VW, and Esserman International VW for their support of the show. Host hotel recommendation is Days Inn - 7260 Northwest 11th Street, Miami FL 33126. _ VB is ON! rain or shine! all day. VW Shop Contents for sale! - We have added an Instagram! Please FOLLOW! check it out and more to come!